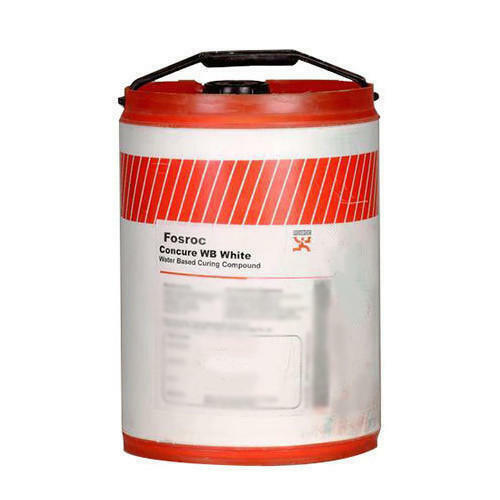 We are a reputed entity in the industry, actively engaged in offering an optimum quality range of Concure WB White. This dries to form a continuous clear film which provides a barrier to moisture loss, ensuring more efficient cement hydration, improved durability and reduced shrinkage. Spray application reduces labour costs and eliminates the need for alternative curing systems. Incepted in the year 2015, we “JAI SHREE RADHEY SHYAM ENTERPRISES” are engaged in Wholesale Trading, a wide assortment of Construction Chemical, Chemical Primer, Concrete Admixture, Waterproof Coating, etc. Situated at New Delhi. We are a SOLE PROPRIETORSHIP and are authorised dealer of these products. Our company is promoted by experienced persons having experience of this field for more than 20 years. They are known to make use of Superior Customer Satisfaction. Managed under the headship of our mentor “ Mr Sanjay Jain”, we have achieved a significant position in this sector. We are currently supplying in L&T sites, Shapoorji Pallonji & co. sites and many more.Also, we are dealing in Neptha Cracker Project, I.O.C.L., expansion of Panipat Refinery, New HPCL Refinery at Bhatinda, Power Project of NTPC at Jhajjhar, on going expansion plan of METRO in Delhi. The Company is having centrally located Office, Godowns & Showroom in the heart of city(Panipat) and in Mundka, New Delhi. We are having numbers of our own godowns and fleet of transport for running our business smoothly.